ASCER (the Spanish Ceramic Tile Manufacturers’ Association) has announced a new edition of the Tile of Spain Architecture and Interior Design and Final Degree Project Awards. The panel of judges for this fifteenth edition of the awards is made up of internationally-acclaimed professionals working in the architecture and design sectors. Portuguese architect Gonçalo Byrne (chairman for this edition) is the holder of numerous accolades, including the Gold Medal of the French Academy of Architecture and Rome’s Piranesi Award. The panel of judges also includes Elisa Valero, Professor at the Granada School of Architecture; Iñaqui Carnicero, a visiting lecturer at Cornell University and organizer of the Spanish Pavilion exhibition at the XV Venice Biennale; Nani Marquina, a designer and president of the Professional Design Association; Nuno Brandão Costa, a Portuguese architect who has collaborated with a large number of exhibitions and events including the Venice Biennale; Ramón Monfort, a lecturer at various schools of architecture and universities; and Ricardo Sánchez Lampreave, organizer of a number of exhibitions and a highly prolific specialized media editor. Multipurpose Teaching Hall at the Gavina School. Architecture Award (XIV Tile of Spain Awards). Courtesy of Spanish Ceramic Tile Manufacturers’ Association. 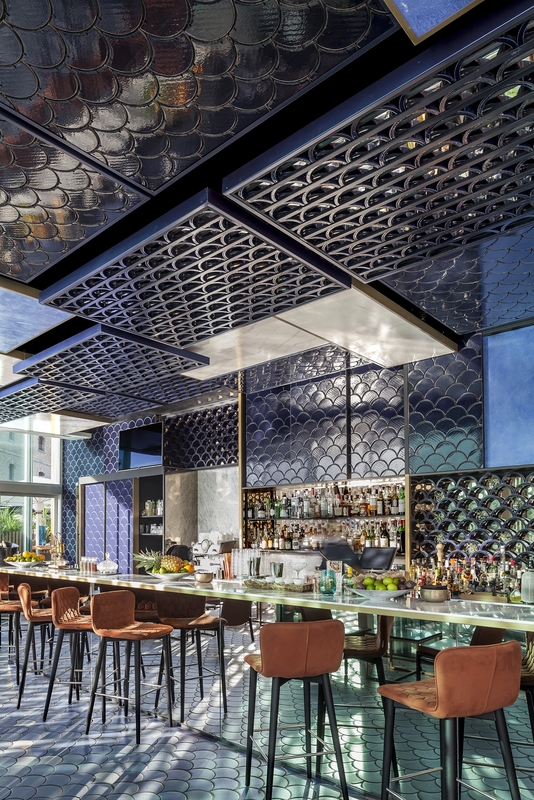 The ultimate aim of the Tile of Spain Awards is to promote the use of Spanish ceramic tiles in architecture and interior design (both in Spain and abroad). The awards are sponsored by Vodafone, Port Authority of Valencia and CESCE. Registration is now open and the project submission deadline is October 26, 2016. The Awards have a prize fund of 39,000 euros distributed among three categories. The two main categories are Architecture and Interior Design, each with a cash prize of 17,000 euros. The main entry requirement is that the projects feature ceramic tiles made in Spain. The third category is the Final Degree Project, targeting students of Architecture and with a cash prize of 5,000 euros. The panel of judges are also entitled to give two special mentions in each category. Blue Wave Cocktail Bar. Interiors Award (XIV Tile of Spain Awards). Courtesy of Spanish Ceramic Tile Manufacturers’ Association. 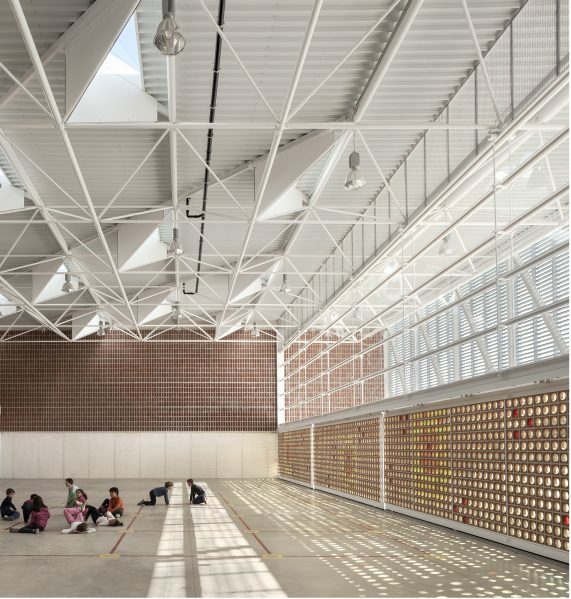 At the fourteenth edition, the award in the architecture category went to Carmen Martínez Gregori, Carmel Gradolí Martínez and Arturo Sanz Martínez for their project entitled ‘A Multipurpose Teaching Hall at the Gavina School‘ (Picanya, Valencia), while the Interior Design award was given to El Equipo Creativo studio for their ‘Blue Wave Cocktail Bar’ (Barcelona) project.